Texas Hold’em is a big card card game. We all know that, or at least we ought to. A simple glance at a Texas Hold’em Hand Strength chart will show us that big cards rule this highly popularized poker variation. 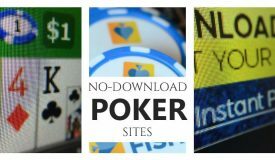 Hole cards such as pocket Aces, Kings, Queens, and A-K dominate the average overall winning percentages. Naturally, we gravitate toward playing these big hands and your opponents will add hands like K-10 suited, K-J, or Q-J into the mix despite their position or their hole cards’ trapping nature. This means that flops containing these big cards are likely to hit lots of players and amount to big pots in No Limit Hold’em. 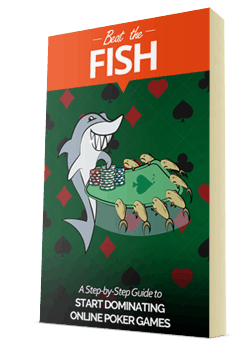 My goal in this article is to help you make the most and lose the least when one of these monster tricky flops arises. 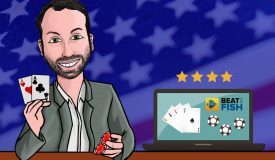 When you play two big cards like A-K or K-Q and you hit two pair on a flop like K-A-10 or J-Q-K you have to play extremely carefully in order to both protect your hand and/or find out if you’re already beaten. You should naturally be more suspect and cautious when 3, 4, or more players are contesting the pot. 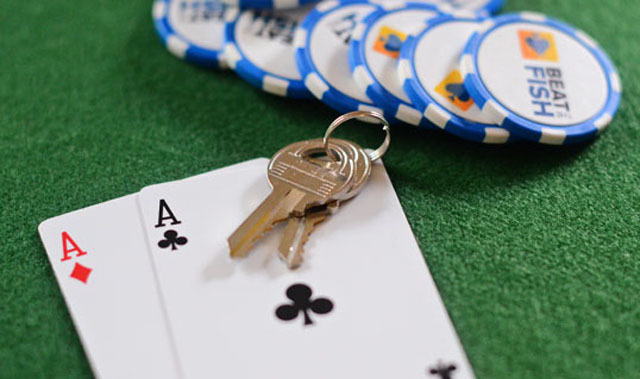 When you hit top two pair on a big flop you probably have the best hand, but you need to protect against straight draws and perhaps flush draws. For some reason, hold’em players love to draw to broadway straights (10-J-Q-K-A), even if they’re only using one of their hole cards. 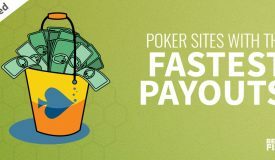 When you make two pair the next card could always give your opponent(s) a better hand so I recommend betting out or raising at least the size of the pot. The same risks apply when you flop a set. A big card flop is likely to have helped your opponents as well so you’ll probably get plenty of action while protecting against draws. The only exception to this would be when you flop something like quads or the nut flush. Even the nut flush is vulnerable to a full house draw if your opponent hit a set with his big pocket pair. When you see high card flops against multiple opponents, slowplaying a big hand essentially only kills your own value. Since your opponents will also be playing big cards it’s very likely that they flopped a worse hand than yours. 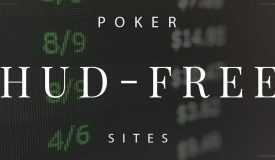 When you flop a set, a straight, or top two pair you’ll usually get action from straight draws, top pair top kicker type hands, or flush draws depending on the board. 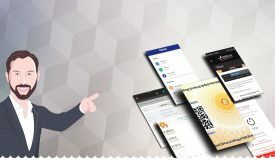 Why give them a free (or cheap) draw to make a better hand? 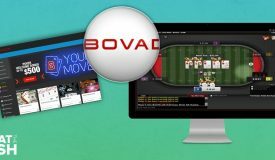 Instead, make a sizable value bet on the flop, build what appears to be your pot, and protect against bad beats in the making. Bottom two pair on any flop is even more dangerous as the next card could counterfeit your hand or give your opponents a higher two pair. 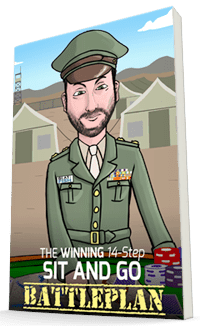 As mentioned above, you’ll often run into loose players willing to gamble on their one-card straight draw. For example, I’ve seen countless players draw with a hand like A-8 on a 10-J-Q board. 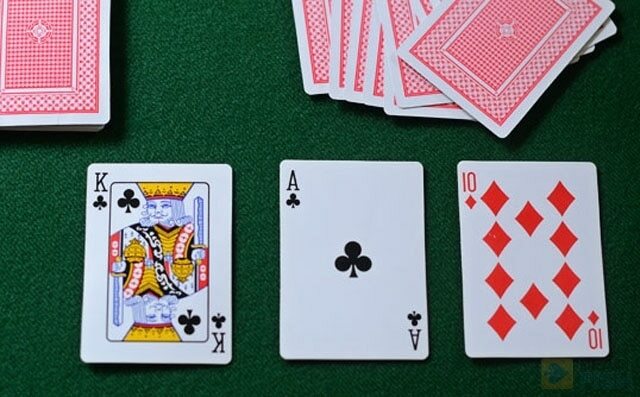 Despite the fact that it is a gutshot straight draw with 12-1 odds against hitting, poor hold’em players routinely draw to broadway straights using only one big card. The big blind may have 9-2 offsuit on that same board and he will probably call a decent-sized bet with his open-ended straight draw (of considerably better odds). 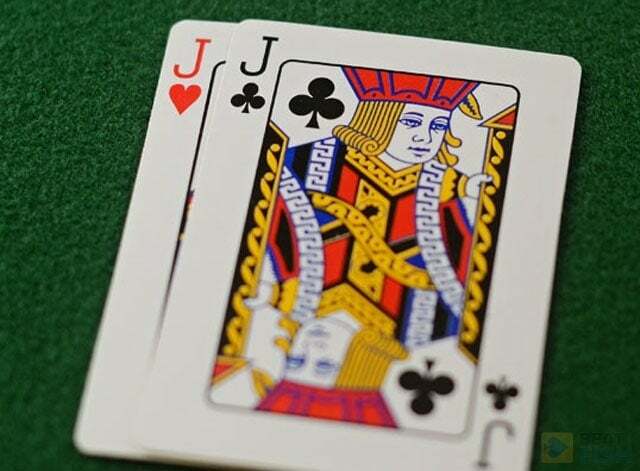 When you’re holding pocket Queens or J-Q, you need to be very wary of a fourth-connecting card coming on the turn or river. Bet out at least the size of the pot and definitely slow down if that scare card does hit. Even if you have the nut straight with A-K on that 10-J-Q board, you have to protect against some other fish holding a A-2. Why? If a K comes on the turn, you’re both only playing your Ace for a split pot. Of course, don’t overlook the weak flush draw if there are two (or more) suited cards. High card flops make for big hands. Top pair doesn’t hold up very often against a big connected board, especially against multiple opponents. If you run into heavy resistance with a hand like A-K on a board of K-J-10 you need to have the discipline to lay it down. Weak hold’em players will limp in with any two face cards and cripple your chip stack with bottom two pair or a freak straight. Top set can really seem strong on high card flops, but make sure you know where you are before you decide to bet your house on it. Sometimes you just have to give up and live to fight another day. If you don’t hold top two pair or better, you’re better off playing defensively and keeping the pot as small as possible. 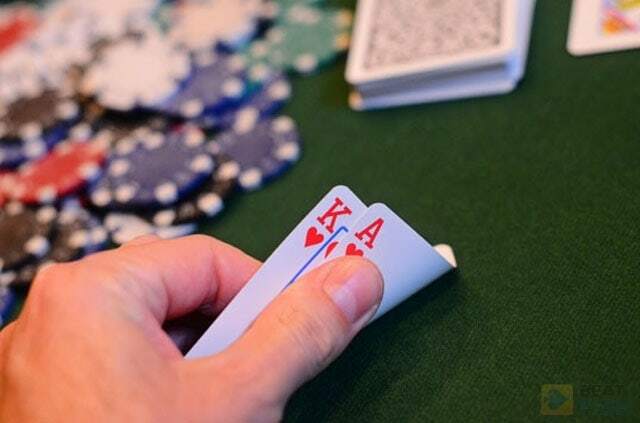 If a major scare card hits such a fourth connector or a completed flush with 2 or more opponents, you’ll probably need to be looking for reasons to fold unless you have an excellent read on a weaker hand. I see too many players who don’t give up on their two pair or even top pair when it’s obvious that a straight is out. When there is a high card board out there, it makes it that much easier to know that your opponents are playing correlating cards. I knew that barring my opponent having pocket Kings, Queens, or A-10 I had the best hand. However, I played according to all the tips above: I wanted to protect my set, not slowplay, and protect against one-card straight draws. I was a bit surprised by his holding but he might have thought that an Ace, Queen, or 10 would have made him the best hand. In fact, only the 10 would have made him a winning straight using only his Ace. Again, remember that many weak hold’em players will draw to that big straight even if it’s only a gutshot. 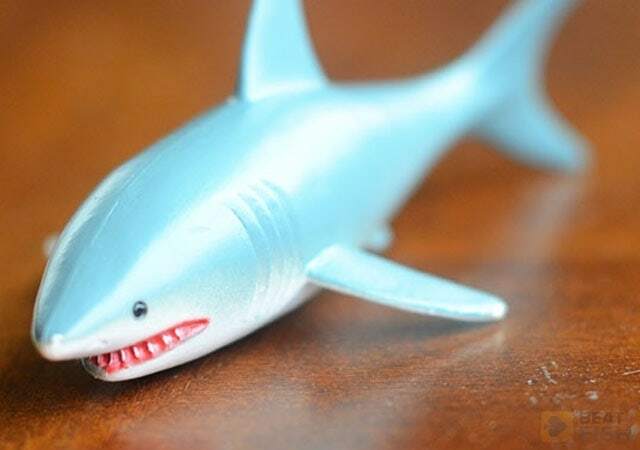 Protect your big hand on these big-card flops and reduce your chances of getting sucked out on.